1. Have a mortal fear of regret. Unlike most elite NFL players who have been playing the sport since childhood, Nate began his football career at 28. 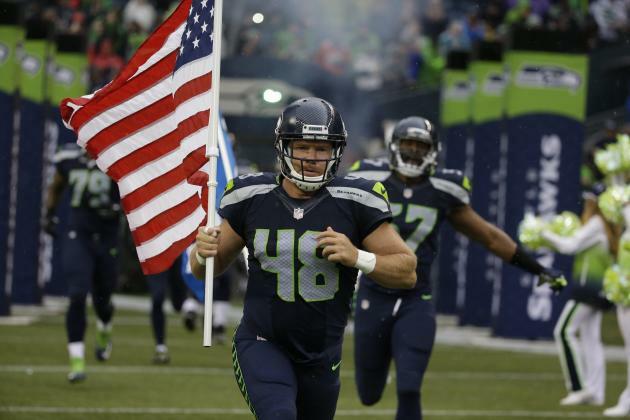 He played at the University of Texas as a Longhorn, and was drafted by the Seattle Seahawks. 2. Break down big goals into tiny steps. Nate then began discussing how audacious goals and dreams intimidate most people. They look at elite athletes, or high-ranking military people as something other than human. 3. Shift your life focus. As our conversation continued Nate and I went deeper. We began discussing the bigger picture about life. We discussed how we’re only on God’s good earth for a short time. 4. Create time to think. I asked Nate if he knew what was next for him, and how he decided what to do next. He confessed that he doesn’t create formal five or ten year plans. The way he decides what he wants to do next is he creates time to think, or as he put it “I daydream about the future all the time.” Sometimes that can be in the gym, or just creating quiet time. 5. Get crystal clear about what you want. About an hour into our discussion I acknowledged the amazing connections Nate has made in his career. It seemed that good things just happen to Nate, and then he stopped me. He explained that his success boils down to clarity. That many people that he encounters, are flapping in the wind. Not understanding what they want to do with their lives, or how to accomplish their goals. So if you have interest, learn as much as you can about that interest, via as many people as you can. Good advice. But there was more to it. Nate is working on a top-secret project that I can’t write about here. He mentioned how the project manifested and that it was something he’d been thinking about for years. Adding “I realized that if I had clarity and a specific answer to that question, things would start to happen.” They did, and they are. 7. You don’t have to be smart to create a phenomenal life. I shared with Nate that for a young guy he has a lot of wisdom about life. He’s done so much, and succeeded at such a high level. Where did this wisdom come from? School? Life? Maybe it was Mom and Dad? 8. Do it for the journey. Nate shared that he sees people opt out of activities because they’re scared they won’t succeed. That concerned him. He shared that he does things because he wants to try them, not because he’s guaranteed success. That if he was great at everything that he tried, it wouldn’t be fun. That he becomes pretty good at things that interest him, and it’s obvious to him that it’s that journey that makes him happy. 9. Being stubborn, and a bit naive can be a blessing. Nate has many irons in the fire. He’s an owner, operator, founding member, and Vice-President at Mission6Zero, he volunteers his time at Merging Vets and Players, and Waterboys. Nate believes that reaching and reverse engineering your path can be half the fun. Nate asked me “why would you spend your time doing something you hate?” Again, this seems so simple, so I pushed him. Well, what happens to the guy who has a mortgage and a wife, and kids and can’t quit his job to chase all the things that interest him? We agreed that this person could at least start pursuing his or her interests on off hours. Creating time for daydreaming and deep thinking about their next career. If you’d like to learn more about Nate you can find him on Twitter, and at Mission6Zero. Read Nate’s open letter to Colin Kaepernick that’s gleaned global attention.